Handcrafted By American Artist, Sara Beames. 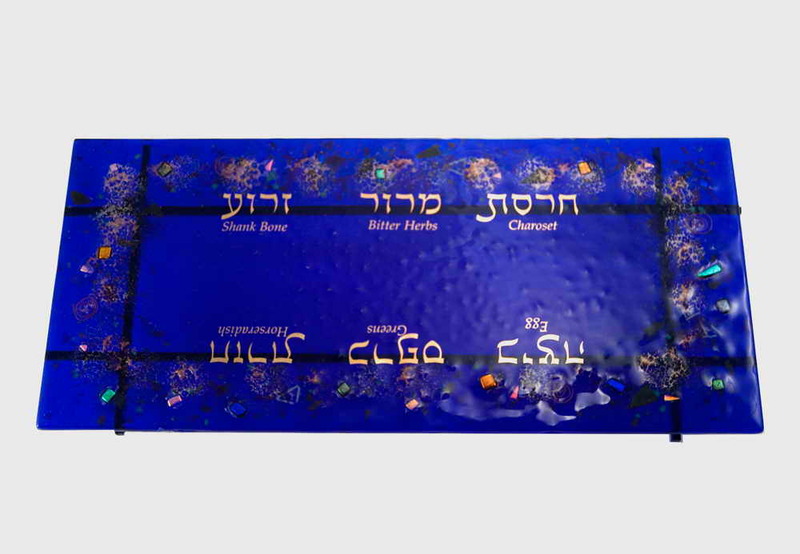 This Celestial Designed Blue Glass Seder Plate Is Artistically Decorated With A Multitude Of Shapes And Colors. This Rectangle Seder Plate Is Uniquely One Of A Kind. The Designs And Colors Can Vary From Plate To Plate. Six Glass Dishes Are Included With The Seder Plate. The Seder Plate Is 16-3/4" Long x 7-1/2" Wide x 3" Tall. 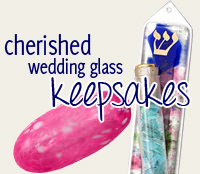 Click Here To See More Jewish Gifts By Sara Beames Designs.